My name is Abigail Bridges and I am a photographer based in Nashville, TN. My love for natural light photography pushes me to reach out to the people in surrounding cities and states to capture your special moments. My specialities are wedding and lifestyle portraiture. Photography is where my passion lies, so it is simply perfect that I get to call it my full time job. My adventure in photography began when I was a senior in High School, six years ago. I realized that photography was another creative outlet for me to explore. 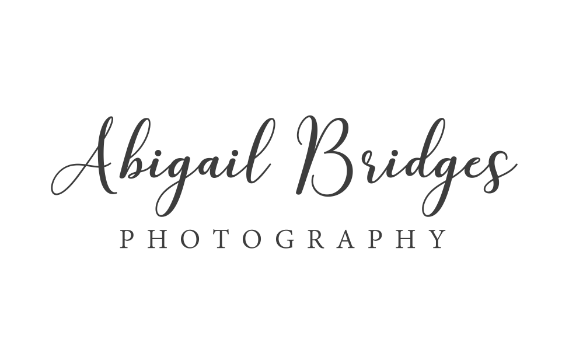 I purchased my camera after one of my favorite high school teachers encouraged me to pursue that avenue and Abigail Bridges Photography was born! Never in my wildest dreams would I have imagined that God would use this creative outlet to bring me to owning my own photography company. 1. I am a cat person. If a cat gets anywhere near the vicinity of me, I instantly try to talk to the little furry baby. 2. I am a foodie. I love all food and it is always an adventure to try new foods. So I try new things often. 3. I want to be a world traveler, but money though. If it was possible to travel the world and they would accept pictures I've taken as the method of payment, I would be on cloud nine, always. 4. I have a better half and his name is Matt. That man has so much patience for my crazy antics. 5. I want to think that my house will look like Joanna Gaines' home eventually, but who am I kidding? I strive to make all my clients feel comfortable and at ease during their sessions. I've learned that organic interactions can only be created with true emotions. I do my best to not pose my clients, but rather to let comfortable interactions take place for me to capture. Let me save those organic emotions for you to remember for years and years to come!